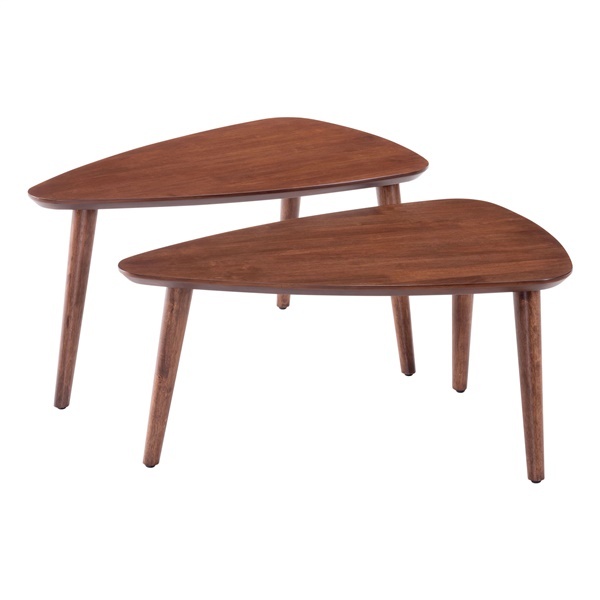 A true testament to retro-modern design, the Koah Nesting Coffee Tables by Zuo provide excellent function and style. Flaired legs support triangle tops that are walnut veneered with a rich grain. Nest them for added space or utilize them separately for maximum function.